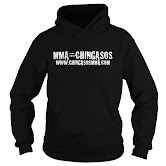 MMA Fighting Events Videos Techniques UFC Fight Picks and News. There's been so much drama with the UFC and some it's biggest stars that UFC 236 has flown under the radar a bit. But, make no mistake about it, this fight is an awesome matchup! 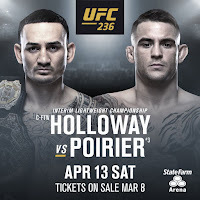 If you like chingasos, if you like tough fighters, if you want to see less outside of the cage drama and more in the cage action, Max Holloway vs Dustin Poirer 2 is a fight you should not miss! Let's take a closer look at these two MMA fighters and then I'll make my fight pick for UFC 236. Max Holloway is coming into this UFC lightweight interim championship fight with an overall MMA record of 20-3. His 3 losses were early in his career, the last one coming to Conor McGregor way back in 2013. His first loss was actually to Dustin Poirier in 2012 when Holloway was only 20. Since his last loss, back in 2013, Holloway has racked up 13 wins in a row. He's fought the best in the division, became champion, defended the championship and has done it all in exciting fashion. He's finished his last 4 fights all via KO/TKO! And, those fighter aren't just run of the mill MMA fighters, they're MMA legends or on their way to be, Jose Aldo, Brian Ortega, and Anthony Pettis. Max Holloway is a tough as nails fighter and when things get heated in a fight, he seems to thrive on that heat. His gas tank seems limitless and the pace he puts on other fighters just breaks them down. Punches in bunches until someone crumbles and it's been the other guy that crumbles for many years now. 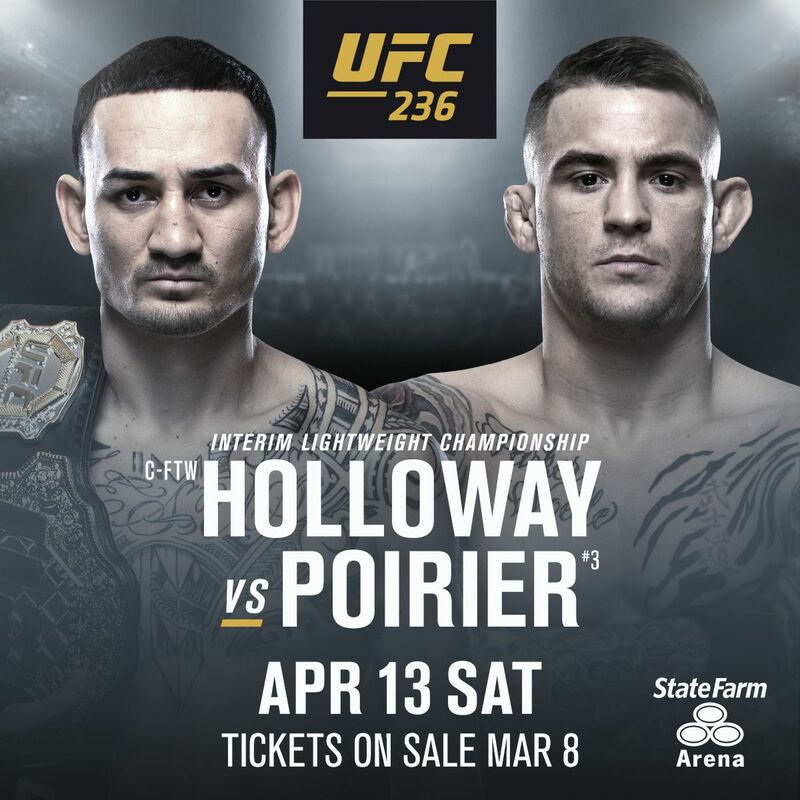 Dustin Poirer comes into this title shot with an overall MMA record of 24-5 and has racked up 3 finishes in a row, two KO/TKO's and the fight with Anthony Pettis which was ruled a submission but looked to be a broken rib. Poirer hovered at the top of the 155 lbs division for a while and has recently looked like his improvement has jumped several notches. He seems to be putting everything together and peeking at the right time for his career. Holloway and Poirer are both great strikers. Poirer seems to have better wrestling and definitely more submissions. Poirer also has that win over Holloway via submission. But in this fight, I doubt we will see much wrestling, so it will come down to the best striker. When it comes to striking technique, Poirer looks cleaner and tigher with his combos, but Holloway brings volume and some odd angles. Ultimately, this fight is going to be Poirer's experience at the 155 lbs weight class that will get him the win. They've both fought tough guys, Poirer has just fought those type of guys but heavier and stronger. That experience, that feel of the power and strength is huge when fighters have similar skills. This is a tough fight for Holloway's first at 155 lbs.